It's about finding a balance between mind and body. Those who firmly believe in the power of yoga says there’s nothing in this world that a bit morning yoga can’t fix. From celebrities to common folks — millions swear by this ancient form of physical and mental fitness. The third International Yoga Day on 21st June proves that it has become a lifestyle rather than just a set of exercises. It’s about discipline and moderation, self-love and awareness and most importantly, it's about finding a balance between mind and body. A yogi lifestyle entails all aspect of life, especially what you eat. Most of the yoga-centric diet elements are just like any balanced diet that you can easily practice. 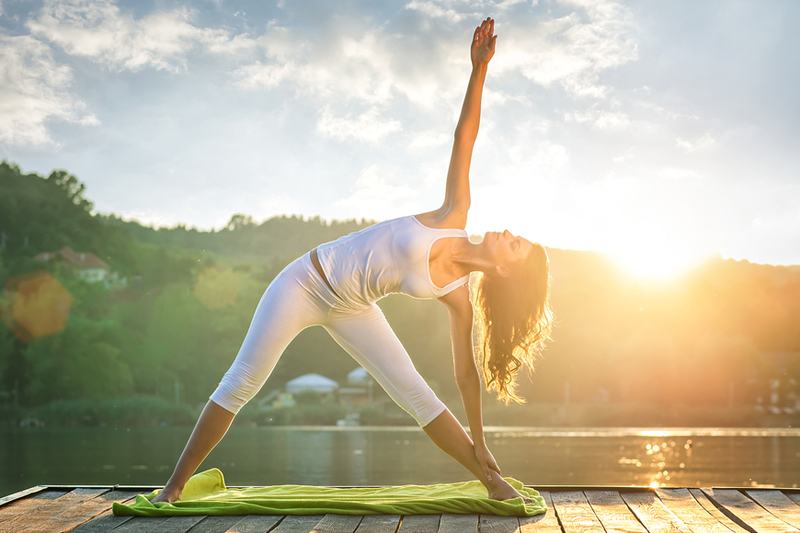 Here’s a quick guide to help you adapt to a yoga lifestyle. Yoga won't affect your life in one day. It requires commitment, sacrifice and perseverance, starting with your morning coffee. Most of us are addicted to waking up after a good dose of caffeine hits our system and this is where things start to go wrong. A day in the life of a yoga fan starts with a glass of warm water. This relatively small change in routine can work wonders for our bodies. It helps flush toxins out, improves digestion and prevents ageing. Just like yoga positions, your meal timings and portion-size should also follow the position of the sun. This means you should increase your food intake over the course of the sun reaches its peak and start reducing it as the sun begins to set. 3. Switch to satvic diet. In yogic and Ayurvedic philosophy, satvic is the purest diet. It includes foods that are light on the system and easy to digest such as fruits, juices, seeds, vegetables, honey and herb teas. A satvic nourishes the body and maintains a peaceful state. This, in turn, calms and purifies the mind, enabling it to function at its maximum potential.